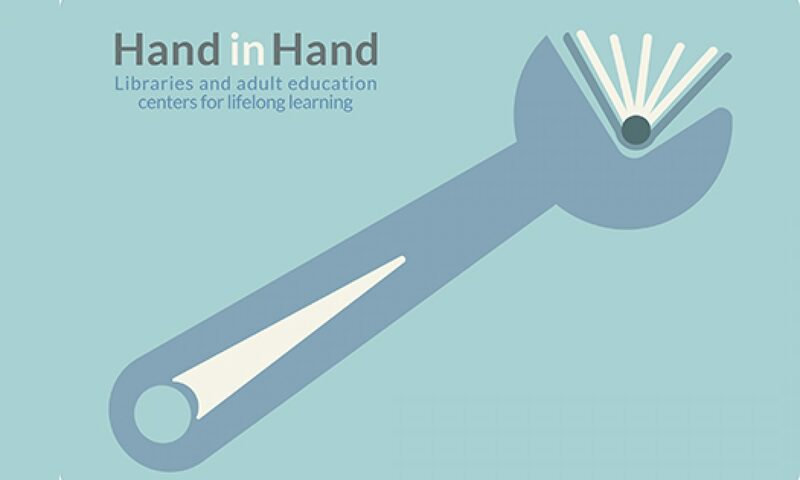 “Hand in hand – libraries and adult education centres for lifelong learning” is an ERASMUS+ – Strategic Partnership – Exchange of Practices Project. The project intends to exchange practices between lifelong learning organisations in order to cooperate better between each other and offer more accessible services to customers. The idea is to study and analyse the steps which libraries and adult education organisations can take to develop borderless partnerships and strive to create multi-purpose learning centres. The partnership consists of five European lifelong learning organisations (libraries and adult education centres). The target groups of the project are library and adult education staff as well as customers/learners of these organizations. The duration of the project is of 2 years starting in September 2017 and ending in August 2019.